After trudging through 12 inches of snow, only to be sandwiched between a tween blasting Miley Cyrus through his headphones and a couple awkwardly fighting in public on a muggy and overcrowded L train, I started to think that I needed a vacation from the Big Apple. But where else could I go to find culture, arts, food, fashion, music, work and an engaging social scene without the hustle-and-bustle of the NYC grind? New York can be a great environment for the creative 20-something — but only if you&apos;ve got endless funds, patience or both. And as the city continues to price us out, it&apos;s important for young artists to consider other equally exciting and inspiring places to call home. Whether you&apos;re heading out on your own for the first time or simply feeling inspired for a change, this list of cities will satisfy your need for intellectual and creative stimulation while offering the opportunity to engage with other interesting millennials — without the stress of the mean streets of NYC. Millennials will not only love Wilmington, NC because it was the backdrop to Dawson&apos;s Creek and Empire Records, but also because it is an unsung hub for the film and television industry as well as other cultural attractions. For budding film and TV production assistants looking to jump-start or further their careers in entertainment without facing the cutthroat culture of NY or LA, Wilmington might be the place to call home. The land of the 99 cent PBR has been the location for Fox&apos;s Sleepy Hollow, Iron Man 3, We&apos;re The Millers, Revolution, The Conjuring, Piranha 3DD and more. While not on-set, 20-something&apos;s can visit the Thalina Hall Center for the Performing Arts, Airlie Gardens, Cape Fear Serpentarium, the Wilmington Railroad Museum, and explore budget-friendly restaurants, bars and shops that are sprinkled throughout Downtown Wilmington. Known as the bohemian mecca of Atlanta, Little Five Points is home to artists, musicians, actors and other creative professionals looking to make their mark on the world — on their own terms. Horizon Theatre Company, Variety Playhouse and 7 Stages are all located in Little Five Points, showcasing young, innovative and diverse talent through independent theater. As a throwback to the &apos;90s, the area also has authentic tattoo parlors, vinyl record stores and a festive annual Halloween parade. Be sure to swing by Star Community Bar, which fosters up-and-coming musical talent, and Five Spots, a local art gallery that also moonlights as a bar with an array of musical groups as headliners. If you&apos;re a beer connoisseur, check out The Porter, a local haunt for artists and musicians that boasts some of the best beer in the country. About five minutes from Downtown, Little Five Points has affordable apartments and shares, making it easy on the pockets, and offers quick accessibility to the city. Recently nicknamed the "creative capital," Providence, RI is an attractive option for artsy millennials due its delicate balance of intellectual stimulation (Brown University students and other young intellects call it home) and creativity (there are lots of Rhode Island School of Design students and other young artists and designers infiltrating the scene). Whether you&apos;re looking for a hot spot to write your thesis, read The Stranger by Albert Camus, design your next fashion collection or connect with other young folks, Providence has an impressive list of indie coffee shops like Coffee Exchange, White Electric Coffee, Malachi&apos;s and Small Point Café. Once you&apos;ve had your caffeine fix, stroll on over to the Rhode Island Convention Center, the Omni Providence and the Providence Place for some retail therapy. We&apos;ve all been to New Orleans to get some beads during the Fat Tuesday festivities, but the enchanting city is also a breeding ground for creativity and culture. Its energy alone is infectious for any millennial looking to be inspired by his or her environment. Lenny Kravitz sums it up with, "There&apos;s certain things in life that I love. One is architecture. And music, culture, food, people. New Orleans has all of that." Indeed it does with its annual Jazz Fest, Buku Music + Art project (a two day festival of emerging hip-hop and indie rock bands), a huge football culture with weekly Saints parties and The Saenger Theater (where concerts, Broadway shows, stand-up comics and local plays come to life). 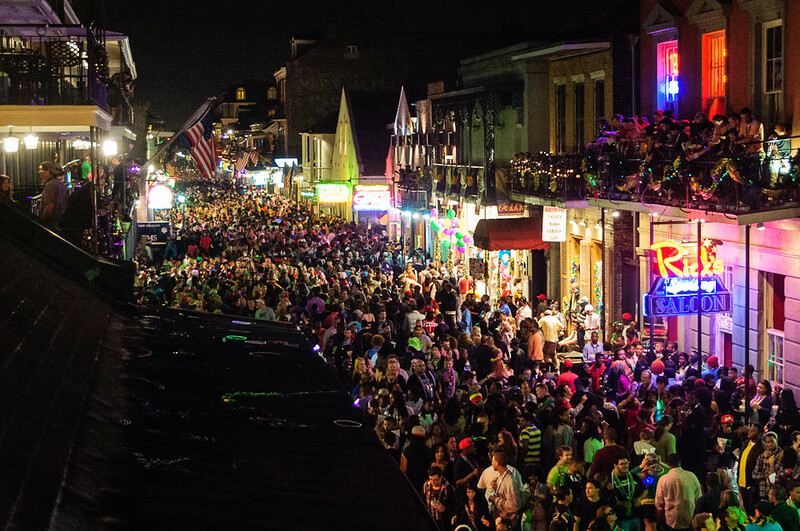 The French Quarter is the hottest spot for nightlife with bubbling Bourbon Street, Blue Nile, dance clubs, the Columns Hotel, jazz and music clubs, Funky Pirate, burlesque and cabaret clubsand restaurants and shops. Don&apos;t believe us? Just ask actor, musician and comedian Jamie Foxx, who says, "What we do in New Orleans, man — we party!" With Portlandia raking in a huge millennial viewership, it&apos;s no surprise that the real Portland would be an ideal spot for young folks looking to lay down some roots. If tax-free shopping for those still pinching pennies isn&apos;t enough, the town also has a thriving outdoor set of activities ranging from biking, hiking and swimming, to viewing some of the most awe-inspiring parks and gardens in the nation. Live music venues like Crystal Ballroom and Roseland Theater are also a big draw for Portland with bands like the Decemberists, Pink Martini, the Thermals and Wild Flag all born out of this creative city. For the non-singing professionals, you can check out Karaoke lounges like the Alibi Tiki Lounge and the Voicebox. To laugh and connect with other weird young folks over a cocktail or beer, Departure, the Pearl District and Bluehour have reasonable happy hour specials for you to discuss your next big project over.